In this collaborative video with Infinite Pixel, we take a look at a project to restore this former WW2 C-47 Dakota back to its former glory and to get Night Fright airborne again in time to fly over Normandy for the 75th D-Day Anniversary in 2019. 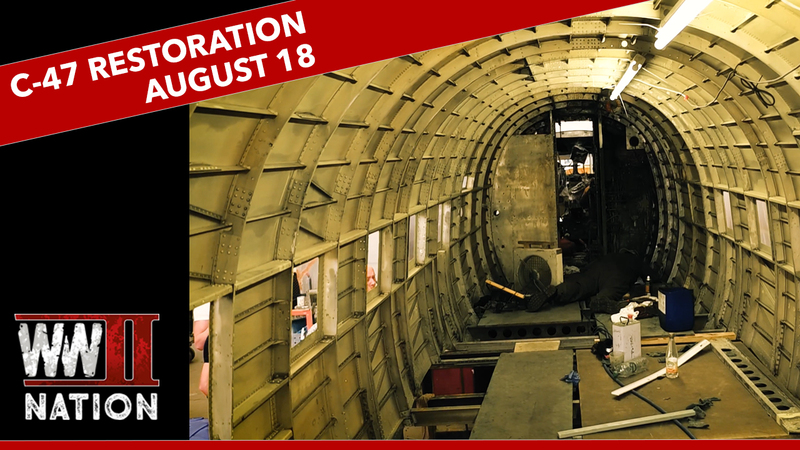 We speak with Charlie Walker – one of the aircraft’s owners – for an update on how things have been progressing with this restoration project over June-July 2018 and take a look ahead to what is coming up for the team in August. 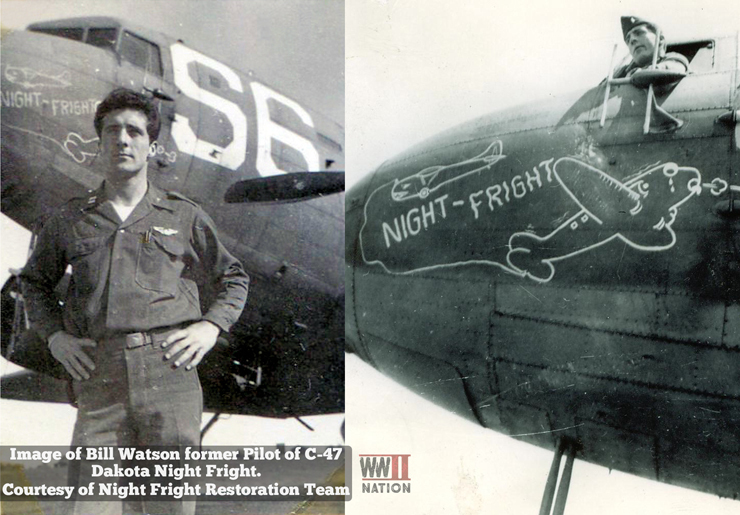 Our full interview discussing all about the C-47 Night Fright Restoration Project with Charlie Walker will be available to listen to on the WW2 Nation Podcast shortly. In it we will be discovering all about the service history behind this remarkable WW2 aircraft 42-100521, which took part in all the major airborne operations in the North-Western European Theatre of operations during the Second World War. As well as learning more about how this project’s origins, we discuss RAF Membury, and the aim to have it flying with Daks Over Normandy next year.